* We provided 19 children (5-17 years old), who call the Larnaca Shelter home, Packages of Happiness helping them to feel loved and valued. Packages of Happiness included new clothing, shoes, toys, candy and other items the children needed. * RDI also provided Packages of Happiness to families in need outside of the shelter. These packages included eggs, milk, bread, and many other groceries families could use throughout the holiday season. RDI has provided warm blankets to people living on the streets. Upon our family's arrival to Cyprus in 2013, we immediately recognized how the fall of the economy, earlier in the year, significantly impacted the quality of life among families throughout the island. The elementary school in Trimiklini, where our children were attending school, was no longer receiving snacks for students. The government's long running program to provide snacks had been cut back. Due to the generosity of people like you, Radiant Destiny International was able to provide snacks for students in Trimiklini and also at a Gymnasium close to Larnaca. Thankfully, the government has restored its provision of school snacks. Over the years RDI has provided snacks, shoes, and other essential items to families in need. 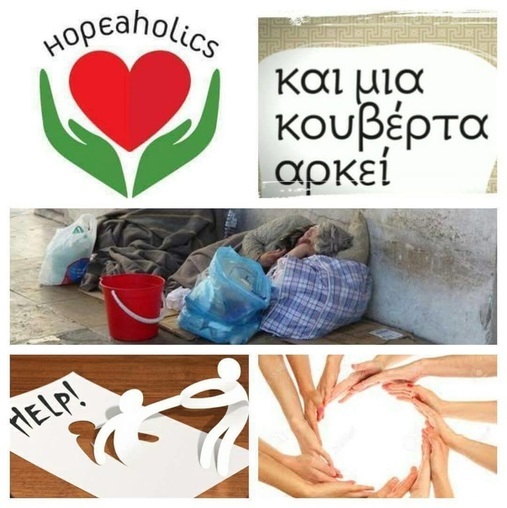 Click the "donate" button on the bottom of this page and designate to "Cyprus".